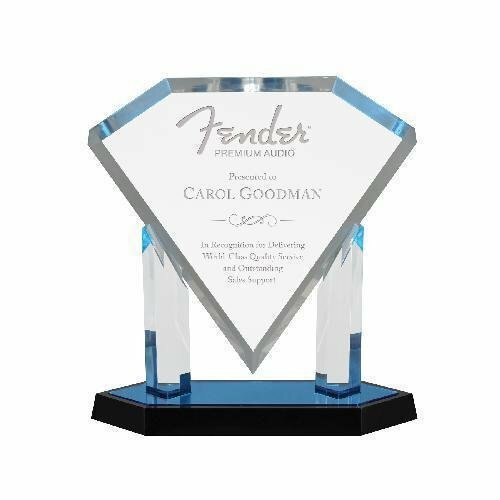 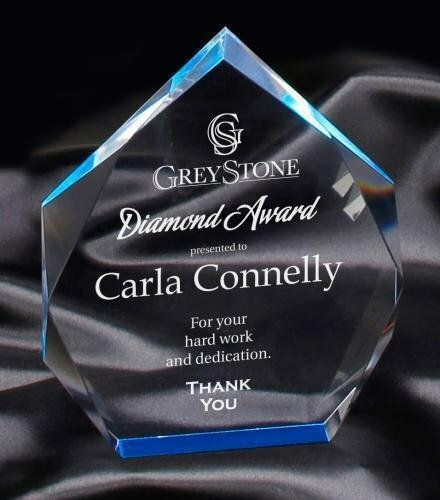 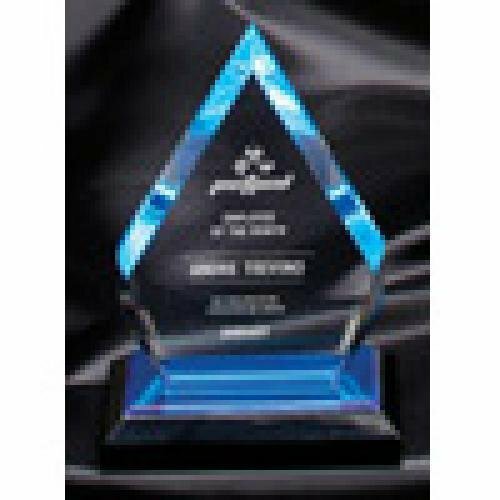 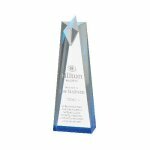 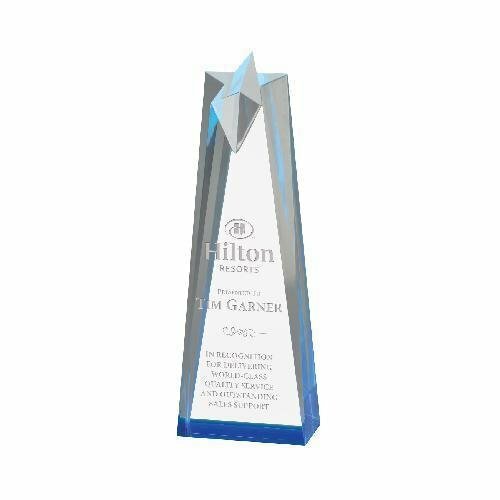 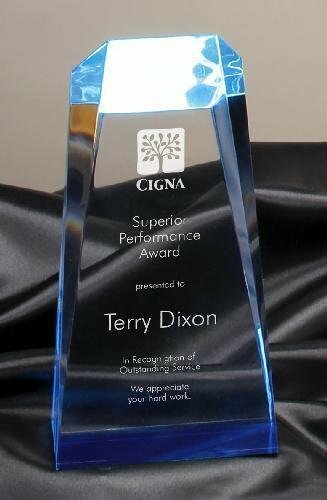 Elegant is the only term that one can use when describing these Spectra Gem Acrylic Awards. Each piece is designed with a blue hot stamp bottom for a stylish blue tone effect on the overall shape that has wide bevel edges that enhances a large engraving or laserable area that can accommodate any of your personalization needs. 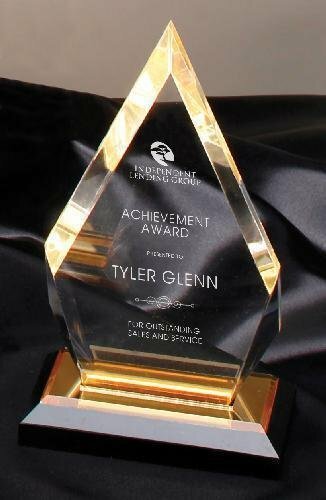 This piece sits on matching blue / black acrylic highlighted base. 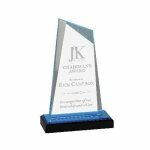 Flexibility is a key component for these awards that come in your choice of three sizes 6 7/8"X 5 1/2", 7 3/4" X 5 1/2" and 8 3/4" X 5 1/2".